NUS has teamed up with Grab, one of Southeast Asia’s most frequently used online-to-offline mobile platforms, to set up an artificial intelligence (AI) laboratory. 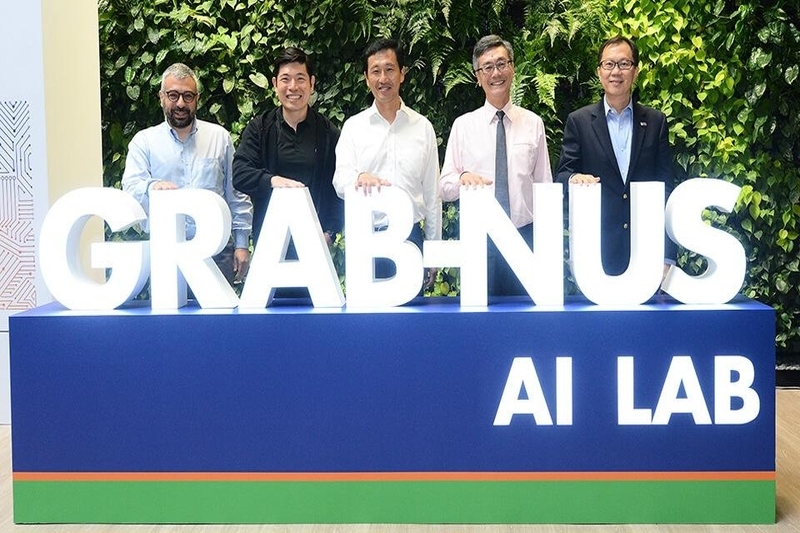 The Grab-NUS AI Lab — Grab’s first major AI laboratory and NUS’ first AI laboratory with a commercial partner — aims to develop solutions to transform urban transportation, solve complex real-world challenges and pave the way for smarter cities in Southeast Asia. Professor Ng See-Kiong, Co-Director of the Grab-NUS AI Lab and Director of (Translational Research) at the NUS Institute of Data Science said that Southeast Asia is rapidly growing and developing with a huge influx of people coming into the cities. Congestion poses a significant challenge for many major cities, which are perhaps the most ideal places to study how congestion develops and, thus, how to mitigate its effects. He added that the collaboration with Grab is an opportunity to leverage big data and AI to “do something different for our region and with our own people and our own talent”. Set up with an initial investment of S$8.24 million over two years, the Lab was officially launched on 18 July 2018, graced by Guest-of-Honour Minister for Education Ong Ye Kung. During the event, Mr Ong witnessed the signing of the Research Collaboration Agreement between NUS President Professor Tan Eng Chye and Mr Anthony Tan, Co-Founder and Group CEO of Grab. He also took the opportunity to visit the Lab, housed at the innovation 4.0 building on the Kent Ridge campus. Prof Tan Eng Chye, NUS President, stated that the partnership is an opportunity for NUS researchers and students to make a real-world impact through research in data science and AI. NUS hopes to supply a significant stream of well-trained and experienced data scientists and AI researchers for Singapore and beyond, in the long-term. Since its founding, Grab has facilitated more than 2 billion rides and their vast data can provide deeper insights into how Southeast Asian cities move today. Combining this data with NUS’ AI research expertise, the Grab-NUS AI Lab will map out traffic patterns and identify ways to directly impact mobility and liveability of cities across Southeast Asia. The AI Lab aims to harness the power of Grab’s data and machine-learning with research and talent from a world-renowned institution. The data collected will serve as a valuable tool for Southeast Asian governments who seek to bring smarter transport to their cities. The Grab-NUS AI Lab will first focus on improving the efficiency and reliability of transportation on the Grab platform in Southeast Asia’s cities, before expanding to research on larger challenges, including congestion and liveability. The Lab will also develop algorithms to better understand traffic flow and improve passenger and driver experience. These include smarter and more personalised services for passengers based on their needs, intentions and preferences; matching drivers to jobs they prefer and improving safety in driving through better understanding of driver behaviour; real-time detection of traffic events and anomalies which can improve traffic flow; improving the precision and accuracy in the mapping of pick-up points; and localising moving vehicles to increase the ease and efficiency of moving from point to point. Prof Tan also noted that the new Grab-NUS AI Lab, which is set to house some 28 researchers working on various AI projects, is in a position to provide experiential learning for students, a need highlighted at the recent parliamentary debates. It will serve as an excellent example of how industry and academic institutions cooperate to provide realistic, contextualised learning opportunities for students. “Students will be able to work off real-life data from Grab and hone their data analytic skills by addressing research questions that have been jointly developed by Grab and NUS,” he elaborated.